Thank you for visiting Peak Health Food. 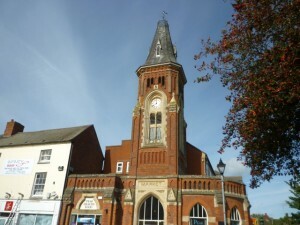 Our beautiful shop is situated in the heart of Rugeley. Our Online Shop is subdivided by supplier category and also by health category. If there is anything which you require which is not listed, then please send us an email at sales@peakhealthfood.com and we will do our utmost to help. Unlike lots of other web sites, with ours, the price you see is the price you pay at the checkout. We DO NOT show you discount prices throughout and then charge you a fee at the checkout for postage and packing! We hope that you will enjoy shopping with us at Peak Health Food! Peak Health Food is a family owned and operated health food store and web site. We are located in the heart of the market town of Rugeley in Staffordshire, in a beautiful building dating back to the 1800's. The shop is run by Marie, who has numerous years experience in the health food industry and has also gained industry qualifications. Customer service is paramount to us and we strive to provide the best in both quality and service. We only provide the best in supplements and body care and this is your assurance of our products therapeutic value. We don’t believe in cheap alternatives that are ineffective and that are full of cheap fillers of unknown origin. Our products are manufactured mainly by UK suppliers and ingredients used are traceable. Where your health is concerned, why choose less? At this time of year we all look forward to better weather and to the lighter nights, but for some, this means the start of the hayfever season. Hayfever is not just about getting the sniffles. It is actually quite debilitating giving many people'flu-like symptoms for weeks on end. Allergic rhinitis giving the same symptoms too. 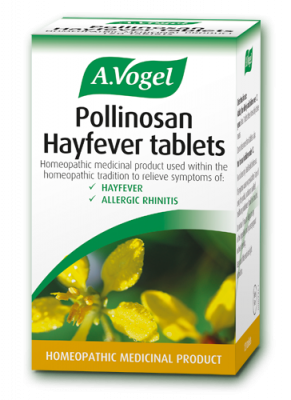 Pollinosan can help to treat hayfever or allergic rhinitis. Taken throughout the day, it is a simple and pro-active remedy. It is non-drowsy, so it's great for those having to drive or operate machinery. This may also be used alongside Haymax pollen barrier balm or with Pollinosan nasal wash. 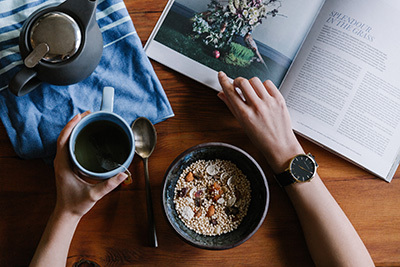 Maple & Goji Granola Ingredients 100g Jumbo rolled oats 100g Pumpkin seeds50g Sunflower seeds50g Golden linseed30g Cacao nibs 1 tbsp Coconut oil gently warmed2 tbsp Maple syrup 3 Drops vanilla essenceGrated zest of 1 lemon & juice 1/2 lemon 50g Goji berries Heat oven to 180°C Gas mark 4. Combine all the ingredients, except the goji berries, in a mixing bowl.Spread the mixture In a thin layer on a non stick baking sheet.Bake for 15-20 minutes , stir-ring a couple of times, until nicely golden brown.Keep a close eye on the mixture as the seeds can burn very quickly.Remove from the oven and, while the mixture is warm, stir in the goji berries. Leave to cool.The granola will last for weeks when stored in an airtight jar. It can be used as a great breakfast cereal and also makes a lovely, healthy snack.